I grabbed a copy of Borderlands 2 when it was on sale at Steam. I really hate the default profile for most games on the Logitech G13. I wrong my own copy of the profile in order to make it more like the other first person shooters I play. 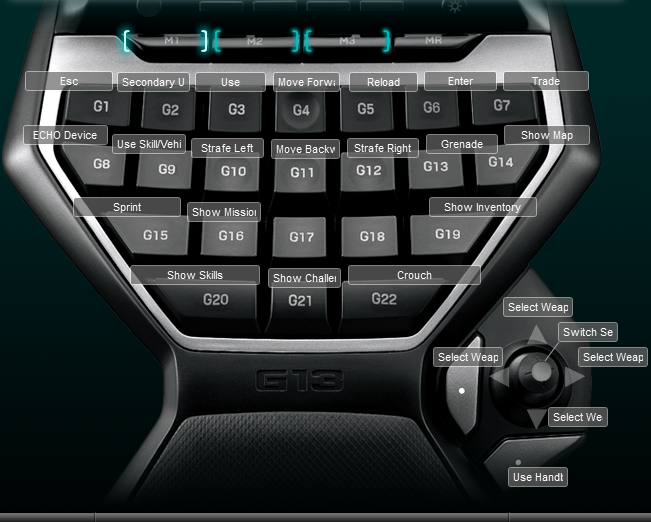 Below is a screen capture of the keyboard layout I am using for the Logitech G13.